Park Place Auto Salon carries only the finest grade car care and detailing products available from the world's leading manufacturers. You will find everything from car wash, waxes and polishes, detailing products, microfiber towels, chamois, sprayers, bottles, tire dressing, brushes, equipment, and accessories. Our goal is to provide the very best in auto detailing products, services, pricing, selection, and availability. Whether you're preparing your car for an upcoming show or just a detailing enthusiast, you will find exactly what you're looking for. Our goal is to exceed your expectations with our services and products every time you do business with us. We Are The Auto Appearance Specialists! Park Place Auto Salon carries only the finest grade car care and detailing products available from the world’s leading manufacturers. You will find everything from car wash, waxes and polishes, detailing products, microfiber towels, chamois, sprayers, bottles, tire dressing, brushes, equipment, and accessories. Our goal is to provide the very best in auto and boat detailing products. Whether you’re preparing your car for an upcoming show or just a detailing enthusiast, you will find exactly what you’re looking for at Park Place Auto Salon. 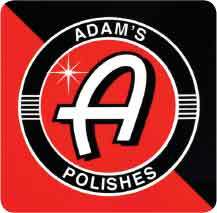 Adam's Premium Car Care signature product line includes car wax, sealants, dressings, cleaners, and polishes – all guaranteed to outshine and outlast any product you've used on your vehicle. Our products are not mass-produced and each is carefully formulated with special blends of high-quality polymers, acrylics, and waxes. We constantly reevaluate and test our blends to ensure that we are offering you the most technologically advanced and safe products available. 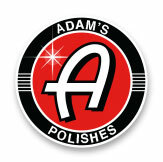 We at Adam's Premium Car Care Products always prefer quality over quantity. If you are not incredibly satisfied with an Adam’s product, I will refund your purchase, plus 10%. -Adam Pitale (Founder & Chief Detailer). 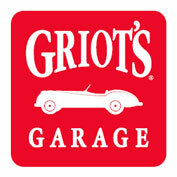 Griot's Car Care Park Place is proud to be an authorized Griot's dealer since 2005! 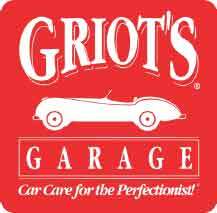 Griot's Garage produces a full line of automotive products that represent "Car Care for the Perfectionist!" Now in business over 21 years, the Griot's team formulate and produce their liquid products right here in their own factory in Indiana and the company headquarters are in Tacoma, so they are truly a home-town success story. Cleaning, polishing waxing, sealing, wheel and tire care, plus complete interior detailing... they have the broadest line of premium car care available. Groit's is always thinking about make a better product, one that helps car lovers get closer to perfection. "Good enough" is not in their vocabulary. Why? Because they make it for ourselves first, and want the very best. there pride is on the line. If it's not the best you can buy, it's not going out the door. Park Place Auto Salon carries a wide selection of the most popular Griot's Car Care product and they have been used exclusively in our All-Hand Car Wash since 2008! We truly love cars. That's why we create products that make the quest for perfection more satisfying, rewarding, and fun. Swissvax Swissvax High Performance Car Care. Swissvax is a uniquely handcrafted car care system made in Switzerland designed to be the finest product line of automotive cosmetic maintenance in the world. Since 1930, the Anwander family has been creating magnificent Carnauba wax formulations. For when the best simply isn’t good enough, the demanding enthusiast can insists on Swissvax. 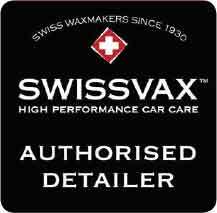 The Swissvax system comprises two major components: a cleaning pre-wax oil which prepares and nourishes the surface, followed by the wax formulation of your choice. The essential oils found in Swissvax waxes including avocado, passion fruit and orange produce a wonderfully aromatic fragrance, combined with high volumes of pure Brazilian carnauba, the world's purest, hardest and most transparent natural wax. These exclusive formulas are very easy to apply, leaving no white residue or wax build-up. There are, quite simply, no compromises when it comes to our pursuit of the ultimate wax and car care system. No wonder Swissvax is OEM to Rolls-Royce Motor cars, Mercedes-Benz Classic, Spyker Cars, Lamborghini and Bugatti. We invite you to see for yourself what delighted enthusiasts and collectors all over the world are discovering about Swissvax. Our goal is to provide the very best in auto and boat detailing products to help you maintain your vehicle. 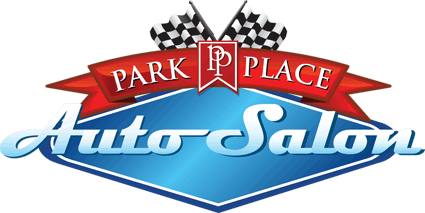 At Park Place Auto Salon you’ll find everything from car washing shampoos, waxes and polishes, detailing products, microfiber towels and chamois, wash buckets, sprayers and bottles, tire dressing and plastic protectants, to brushes, spray nozzles and many other detailing tools and accessories. Please Note: Car wash hours on a given day may vary due to poor weather conditions. Park Place Auto Salon reserves the right to deny your appointment if you arrive late to the point of conflict with other appointments.